Whether anchoring an all-star group at the White House, juggling tricky rhythmic swerves with his own quartets, celebrating the holidays with his Christmas Tree-O, exploring the poetry of Carl Sandburg, sensitively supporting vocalists such as Dena DeRose, presenting concerts at a neighborhood church or donning a superhero cape to inspire young musicians to embrace their individuality, Wilson approaches music as a man on a mission: fostering a lively and passionate connection between music and people, whether they be playing or listening to it. Wilson has released thirteen albums as a leader. His latest recording, Honey And Salt (Music Inspired By The Poetry Of Carl Sandburg), was recognized on over thirty worldwide “Best of 2017” lists, including Top Ten in the National Public Radio Critics Poll, JazzTimes, Irish Times, Boston Globe, Jazziz and All About Jazz. The album received a coveted 5-star review (masterpiece) in DownBeat. On his previous album, Beginning of a Memory (Palmetto), Wilson brought the musical and the personal together like never before, uniting the members of all his ensembles into one aptly-named Big Happy Family to celebrate the life of his wife Felicia, who lost her battle with leukemia in June 2014. This profound, yet playful, release also received a 5-star review in DownBeat and was selected as one of the top releases of 2016 by numerous publications, including DownBeat, JazzTimes and slate.com. It also cracked the Top Ten of the NPR Critics Poll. Wilson has made thirteen recordings as a leader for Palmetto Records since 1996, including acclaimed releases by the Matt Wilson Quartet, Arts & Crafts and the Christmas Tree-O. He’s also co-led another dozen albums, including duo outings with Lee Konitz and Steve Beresford, Sifter (a trio with Mary Halvorson and Kirk Knuffke), MOB Trio and the acclaimed Trio M with his alliterative partner, Myra Melford, and Mark Dresser. And that’s only a drop in the proverbial bucket (and Matt has almost surely played a bucket or two, proverbial and otherwise, over the course of his career) in the context of an impressive discography that finds his distinctive style on more than 400 albums. That dizzying list includes releases by such greats as Dewey Redman, Paul Bley, Charlie Haden, Lee Konitz, Bob Stewart, Cecil McBee, Denny Zeitlin, Ron Miles, Jeff Lederer, Marty Ehrlich, Ted Nash, Ray Anderson, Don Friedman, Jane Ira Bloom and Dena DeRose, among many others. Those credits alone speak volumes, but Wilson has also racked up an impressive catalogue of accolades. He topped the “Rising Star Drummer” category in DownBeat’s renowned Critics Poll for five consecutive years and regularly places highly in the DownBeat Readers Poll, as well as polls in JazzTimes and Modern Drummer. His face has beamed from the cover of every influential jazz publication, including DownBeat, JazzTimes, Modern Drummer, Coda, JazzEd, JazzTimes Educational Guide, The New York City Jazz Record and Jazziz. He won “Drummer of the Year” honors in the Jazz Journalists Association (JJA) Awards twice, having been nominated every year since their inception. 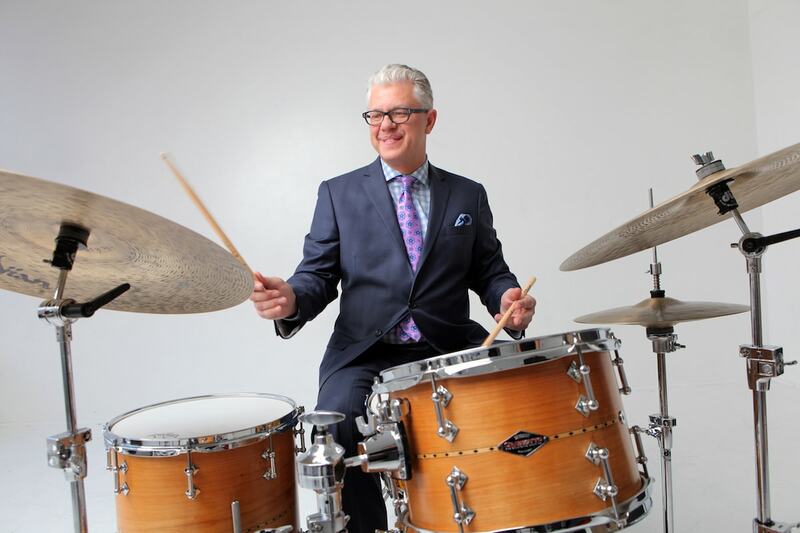 Wilson was named the Hot House NYC Jazz Awards “Fans’ Drummer of the Year” in 2015 and was inducted into the Wichita State University College of Fine Arts Hall of Fame in 2016. Most recently, he was named “2018 Musician of the Year” by the JJA and also received the organization’s “Record of the Year” honor for Honey And Salt. Wilson actively works to bring jazz to new audiences. He curates the “Jazz on Stage” series at Long Island’s Tilles Center for the Performing Arts, where he brings listeners up on stage with the artists. He can also be heard hosting “Playdate with Matt Wilson” on New York jazz radio station WBGO.